In either late 1968 or early 1969, I can’t remember exactly when, Thru the Looking Glass became the second progressive rock show to broadcast from a small unknown station in Bethesda, Maryland. Not in my wildest dreams would I ever imagine blogging about this unique piece of cult radio history 47 years later. I was a 21 year old Junior at American University doing a pre-recorded progressive rock show with my college roommate, Marc Fleisher on WAMU AM for a couple of hours a week when circumstances and the right contacts landed us on Cordell Avenue on the second floor of Triangle Towers. 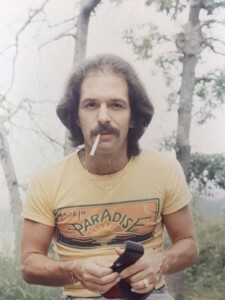 I vividly remember the first night we were on the air, Jake had just fired Frank Richards or Frank quit, and Thru the Looking Glass was about to replace DC’s founding father of progressive rock radio. I was excited and nervous and could never have imagined the impact this new rock format and this little station would have on to the entire Washington, DC area. Frank Richards had a very loyal following. His fans were pissed that he was off the air and the phone calls to the station reflected it. 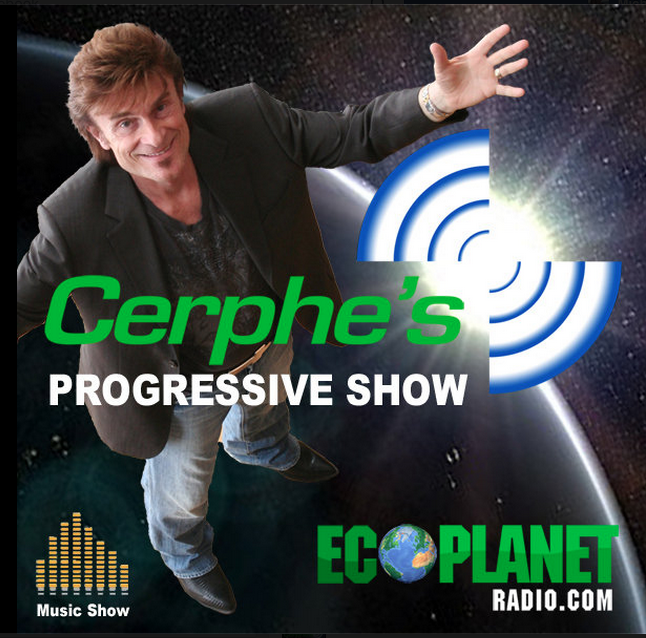 Trying to make a positive first impression, the first show was 4 hours of commercial free music, with the only interruptions for the station ID’s. It was not a very warm welcoming reception for an opening night! But by the end of the first week we had them converted. Nationally, underground radio was only a year or two old. Progressive rock music was exploding, AM radio was only playing songs of three minutes or less and the AM DJ’s were loud and fast talking. We were doing something brand new on WHFS and it was exciting. Playing long sets of tunes was typically how the show was programmed. I would play 6, 7 or 8 songs in a row depending on the theme for that set of songs and the number of commercial spots that had to run that hour. Since the show ran from 8 – midnight on weekdays I always envisioned my audience as actually listening to the program, not just having it on as background noise. I imagined them listening in candle light or black lights, maybe listening with headphones while they rolled another one! The great thing about programing your own show is having the ability to play a side of an album, in its entirety, without commercial interruption. Discovering new groups and different musical genre’s was a blast. WHFS gave you the creative freedom to play it all. Since commercial spots were the mood breaker it was important to have the ads be as least intrusive as possible. This was underground radio but it still was commercial radio. So we would write and produce the spots ourselves in a small production studio next to the announcer’s booth. WHFS gave us the freedom to experiment and try new things. Just don’t get the station in trouble with the FCC and don’t bounce the check that pays our bill for the airtime we rented from them. Purchasing commercial airtime on a small radio station was pretty inexpensive back then and our audience was a narrow demographic. Lester Grossman and his company LG Productions paid for the block of airtime from 8 – midnight and then we would sell spots on the program to local companies. I think a thirty second commercial was only 6 or 7 dollars. But then a ticket to Woodstock was $7.50 for the day! LG Productions produced dozens of shows in the DC area including the Who/ Led Zeppelin Concert at Merriweather Post, Steve Miller, Buddy Guy, Procol Harum, & Canned Heat to name just a few. The music also changed how we looked, and an entire fashion industry was created to reflect the freedom we felt. The Washington area had several clothing entrepreneurs and WHFS was the right place for them to advertise..…how many of you remember: The Sixth Sense in College Park, Hang Ups in Falls Church, The Jean Jack in Bethesda, Until Further Notice, Up Against the Wall, Elysian Fields and Georgetown Leather Design? How about Apple Pie? Record stores like Orpheus Records, orr Music venues like Emergency, The Crazy Horse, and of course, The Cellar Door and The Childe Harold? 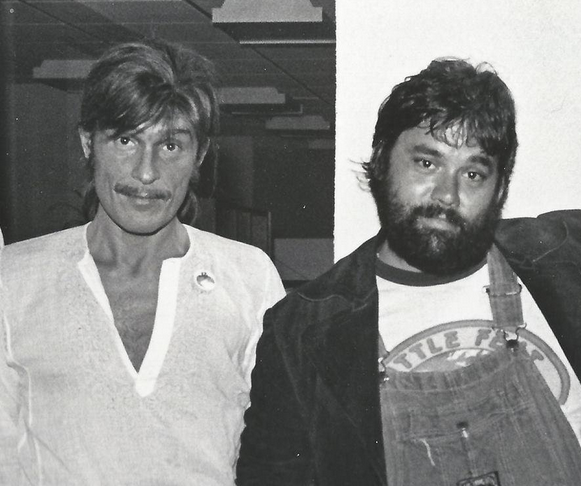 I was fortunate to have a unique historical perspective only a handful of people can relate to both in the evolution of WHFS and of this very unique period of music history. Music was the force that brought it together. The singer/songwriters and musicians of the 60’s were able to articulate the feelings of an entire generation. I was a 21 year old college junior and we were going to change the world. I played a part of it through the music I selected to play. WHFS gave us complete creative freedom to do that. Back then rock music ended at midnight. The all night MOR jock that followed was a nice lady named Camille Bohannon. She did have a great voice for the overnight shift. I can still hear her segue from my last set of rock tunes to the music of Mitch Miller, Burt Kaempfert, and Al Martino. But that was WHFS. Washington High Fidelity Stereo from beautiful downtown Bethesda, Maryland. Back in 1968 and 1969 WHFS didn’t have progressive rock record library. Nightly I had to carry 50 -75 albums, from my own collection to the station. New bands were forming all the time. The amount of new music I was exposed to was remarkable. The main record distributors at the time were Schwartz Brothers and Jos A. Zamoski. Their PR guys didn’t make stops at WHFS yet, but they would let us come by their building and pick up promo copies of the week’s new releases. My personal record collection was what I used to program each day’s show. Free albums and free concert tickets were two great perks of the job. I will never forget the night I had two Rastafarian’s at the station. They brought me an early Wailers album to play. I decided to put them on the air and spend maybe thirty minutes talking about their lifestyle in Jamaica. After I got canned from WHFS my first stop, in the spring of 1970, was a visit to Negril. P.S. 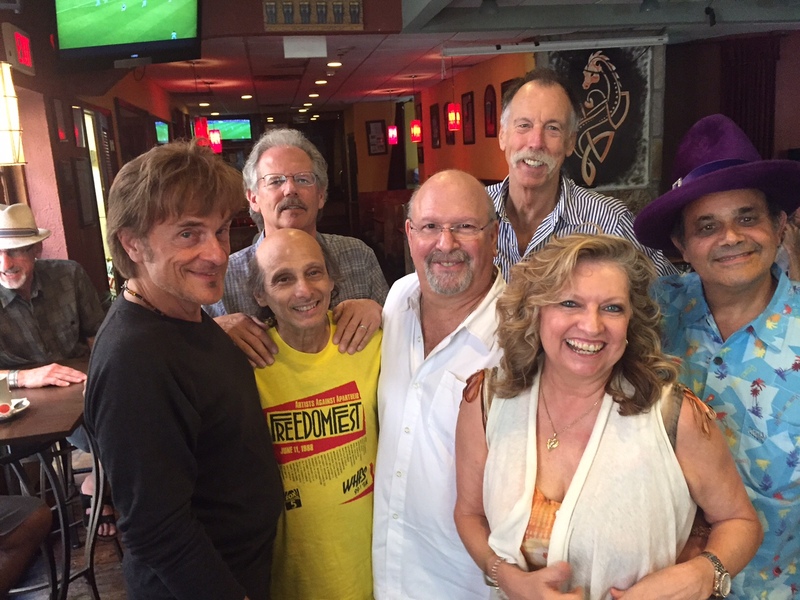 Here’s a recent photo taken at the old Psychy Delly, now Flanagan’s Harp and Fiddle, in Bethesda, Maryland, with the HFS crew and my wife Deborah. I hope to see you at the Feast Your Ears: The Story of WHFS 102.3 documentary Kickstarter Party on Saturday, September 19, 2015 at Villain and Saint in Bethesda. Limited space, so look out for the ticket sales announcement via Feast Your Ears Facebook, Twitter and email post soon! Media Central Films’ Executive Producer, Jay Schlossberg, was interviewed by Mike Sobola, Staying Relevant Podcast host and producer, about his early career and where he is today, in production on the HFS feature length documentary, Feast Your Ears: The Story of WHFS 102.3 FM. Mike Sobola spent the formative years of his career working in New York City. Now based in Washington, D.C., his repertoire includes commercials, music videos, and pieces for corporate, government and broadcast programs. He has written and produced shows airing on NBC, CBS, HBO, Discovery, The Sci-Fi Channel and others. He also spent five years on staff at the Travel Channel eventually serving as Writer/Producer of the popular travel series “Etc…Etc” with Matt Lauer. In addition, Mike worked with Brian J. Kelly to co-write and produce “Top Gun: The Real Story”, a documentary for Discovery’s TLC, and went on to take Writer/Producer roles with several companies, including Atlantic Creative, FDA TV Studios, and Moondog Entertainment. At Moondog, he served as Executive Producer in Charge of Development and Production and oversaw the 26-part series “Techknowledge” for Discovery Science. 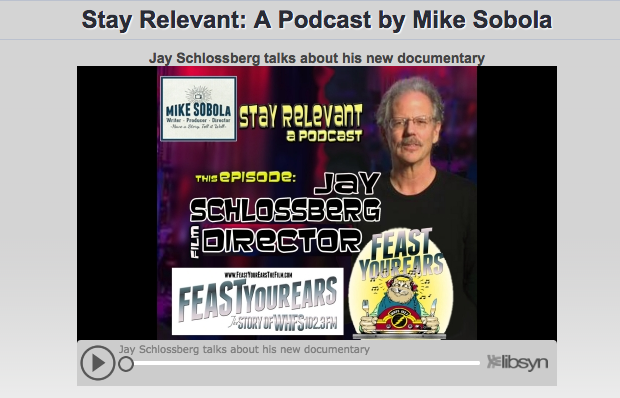 Click here to go to MIKE SOBOLA’S website. Every radio station I’ve worked at is a chapter in my life and WHFS is Chapter One. I’m so proud and grateful to be an alumnus…we pushed the limits of what could be done artistically and creatively on FM. When you’re part of a great radio station like WHFS, you hope you can be proud of it 30 years down the road, and I am! Radio, when it’s great, is amazing–it changed our lives and there’s a great joy and pleasure celebrating the mojo of a station that so many people loved. We were part of the journey in late 20th century music, politics and art…we had a tremendous feeling of community and creativity. We were your designated driver, you had to trust us and come along for the musical ride. I might take you up on two wheels around the bend but I always got you home. Come on down to the old Psyche Delly location at 4844 Cordell Avenue and have some chow (brunch or lunch) and meet me and some of your favorite ‘HFS deejays up close ‘n personal. Join me, Weasel, John Hall, Fred Sirkey and others. There is NO cover charge! Click here to register on Facebook. 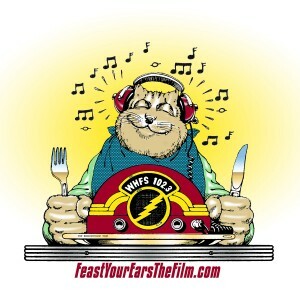 We’ll be talking about Feast Your Ears: The Story of WHFS 102.3 FM, the feature length documentary in production. A Kickstarter kick-off benefit concert is happening Saturday, September 19, 2015 at Villain and Saint in Bethesda. More to come on that! I’m playing World Class Rock from Jeff Beck with Rod Stewart, The Rolling Stones, Lyle Lovett & His Large Band, new music from DC legend Cal Everett and Trey Anastasio, lost classics from The Pretenders, Garbage and The Beatles, Jon Stewart’s Moment of Zen with Bruce Springsteen, plus U2, Traveling Wilburys and more! We only play songs we love, we hope you love them too ~ The next evolution of Wireless Mobile Radio! Rock w/o Rules, Music w/o Borders. Are you an HFS Head?! 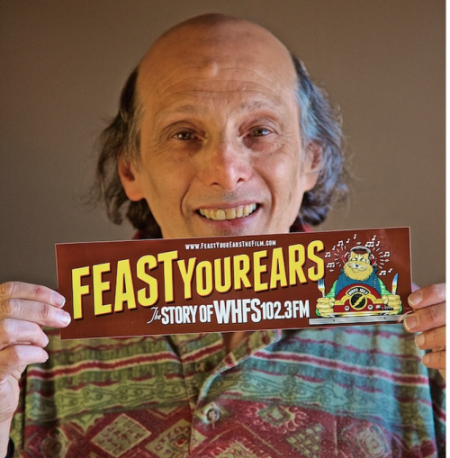 Join the tribe and sign-up for news alerts for Feast Your Ears: The Story of WHFS 102.3 the feature documentary currently in production. You’ll be the first to hear about the latest events and concerts that me and my fellow HFS DJs will make appearances at. A Kickstarter campaign for the film is launching Saturday, September 19th with a benefit concert at Villain and Saint. Sign up today! It was described by a word that we just don’t hear anymore, community. It was something we all felt very much a part of and felt like we were all equal. Common ideals, a common culture a common outlook and to paraphrase Bob Dylan, “the times they were a changin'”. It felt like a whole new town was springing up around us. There were newspapers that reported on our lifestyle, new bands sprang up that played our music, new clubs that featured those bands record stores sold their records and retailers sold the clothes and tools of our life. And through it all there was a soundtrack of our lives on the radio. WHFS, and that community will never exist again. 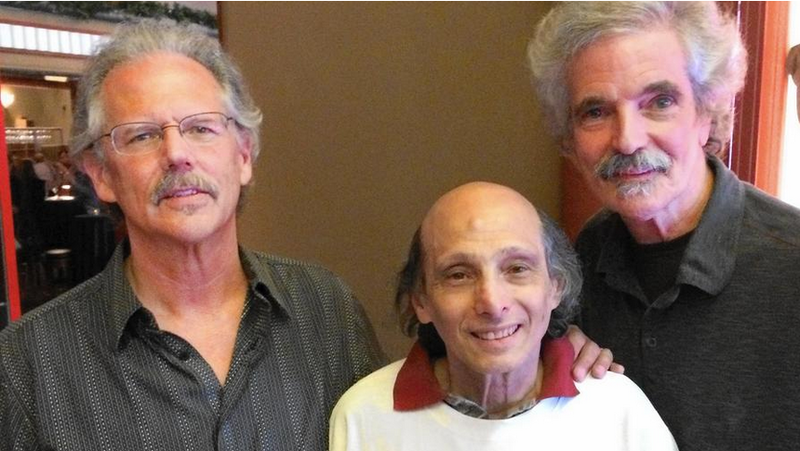 But now Feast Your Ears: The Story of WHFS 102.3 the movie will bring back the memories and save them for posterity. I hope you will join me and my colleagues for the ride – and join our “tribe” – the HFS Heads! In case you haven’t heard, I’m still on the radio waves at WTMD, the NPR station in Towson, Maryland. Join me on WTMD 89.7 FM every Friday evening from 7 – 10pm. The program repeats Saturdays from noon to 3pm. Remember Radio the way it used to be? Every Saturday afternoon at 12 and Friday nights at 7, the legendary Weasel brings three incredible hours of music and story telling. Weasel handcrafts long themed sets about news events, pop and American history and whatever else tickles his fancy. Sets can last long into the hour with Weasel weaving a musical play by play of each tune’s history and importance. 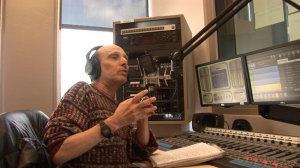 Weasel’s long radio career started during the glory days of WHFS in Bethesda and been a friend and musical guide to generations. 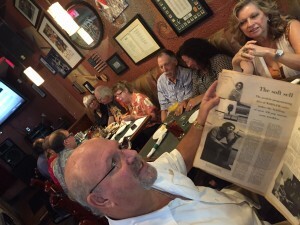 In March, the Baltimore City Paper published an article about me written by Charles Cohen. Click here to read all about it! Be sure to go to the homepage and sign-up for our news and events alerts to be the first to hear about our upcoming concerts and appearances at Harp and Fiddle and Villain and Saint. We will be launching a Kickstarter campaign in September, and would greatly appreciate it if you would help us spread the word about Feast Your Ears: The Story of WHFS 102.3 documentary in production to all your friends and fellow HFS Heads! Check back for news, updates & important links! Kickstarter campaign coming soon. We appreciate all your support. We want to keep everyone who is interested informed on the progress of the project. We will not share your email with any third parties, it is explicitly for updates from the Feast Your Ears team. Please sign up!